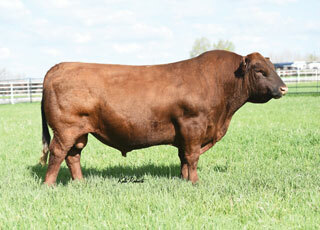 One of the breed's hottest sires! Merlin 018A is being used in the industry's most progressive herds. With big time EPDs and indexes, and a pedigree that mates easily on so many popular lines, Merlin 018A is an obvious next generation, breed leading sire. While his numbers catch your eye, his ability to consistently sire performance minded cattle with depth, thickness, carcass merit and overall productivity demand serious consideration.